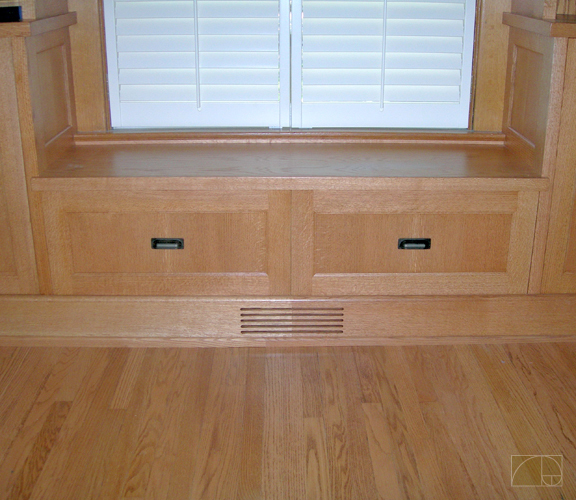 It often isn't necessary to move a heating register in the floor when built-in cabinetry is going to be installed. We frequently redirect the air-flow out the front of a base. It's important to be careful to create a smooth, tightly sealed transition for this. Problem solved!